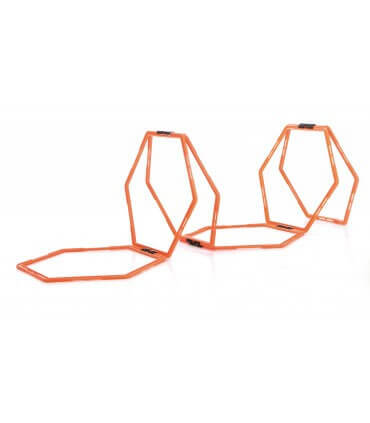 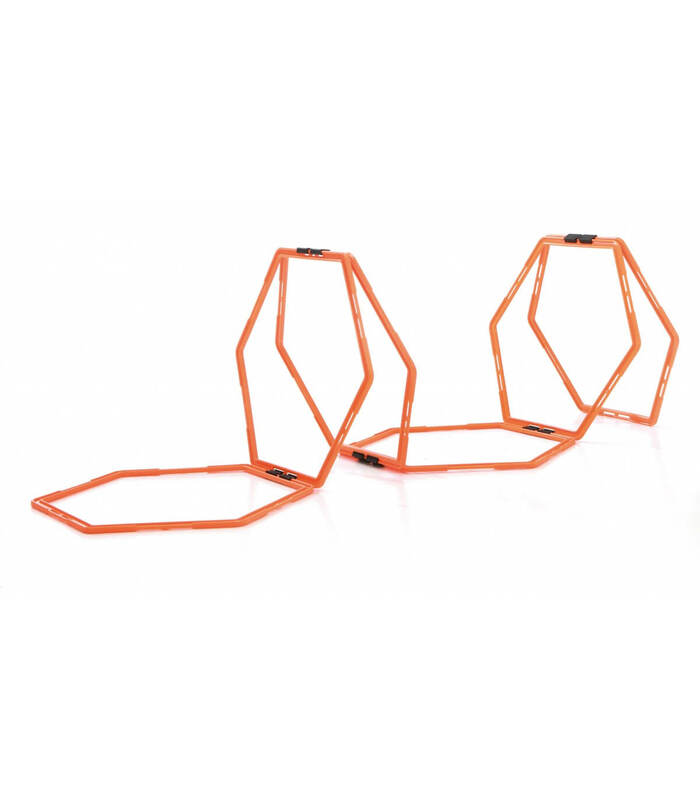 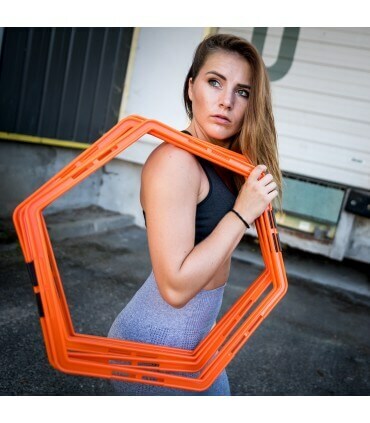 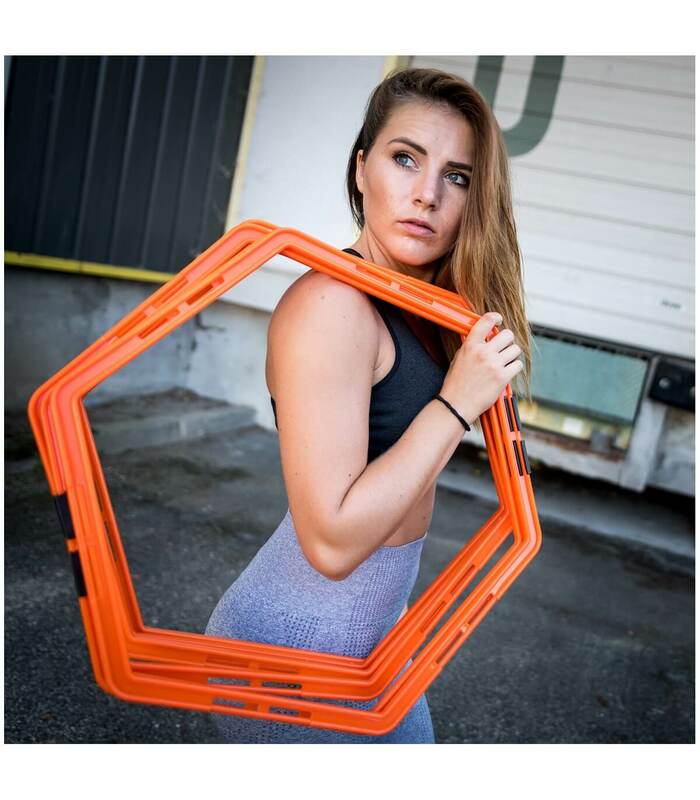 6 hexagonal agility training rings that can be used individually, partially or totally with an easy clip system to create a variety of training exercises to reinforce speed, power, agility and flexibility. 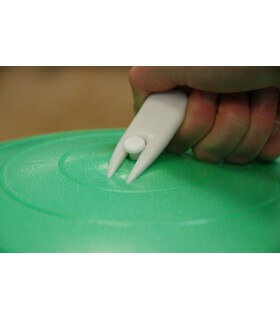 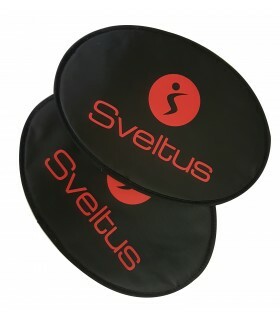 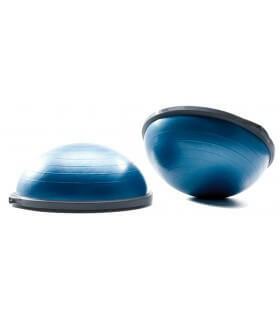 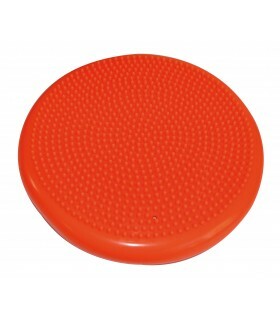 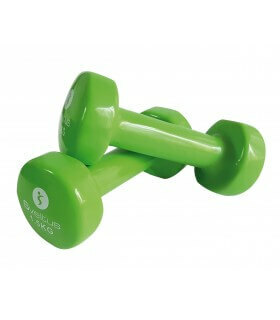 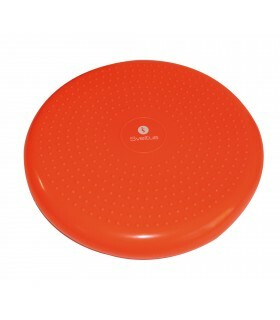 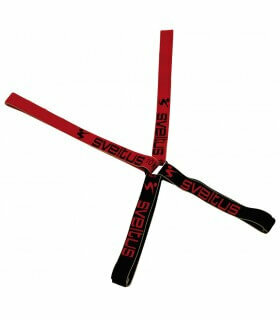 Usable in hurdles mode, it offers you endless possibilities of exercises ! 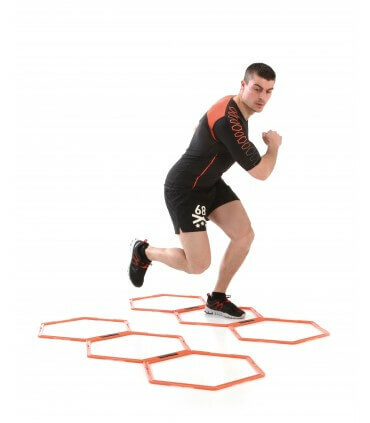 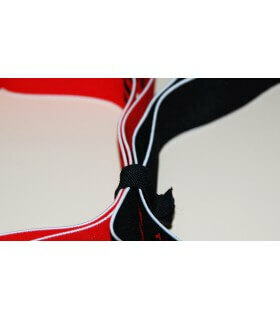 Ideal to train your direction change, side stepping and to improve your cardio.